Railpictures.ca - Paul Santos Photo: GO train storage tracks photo taken from Bathurst St. bridge with Front St. to the left. | Railpictures.ca – Canadian Railway Photography – photographie ferroviaire Canadienne. 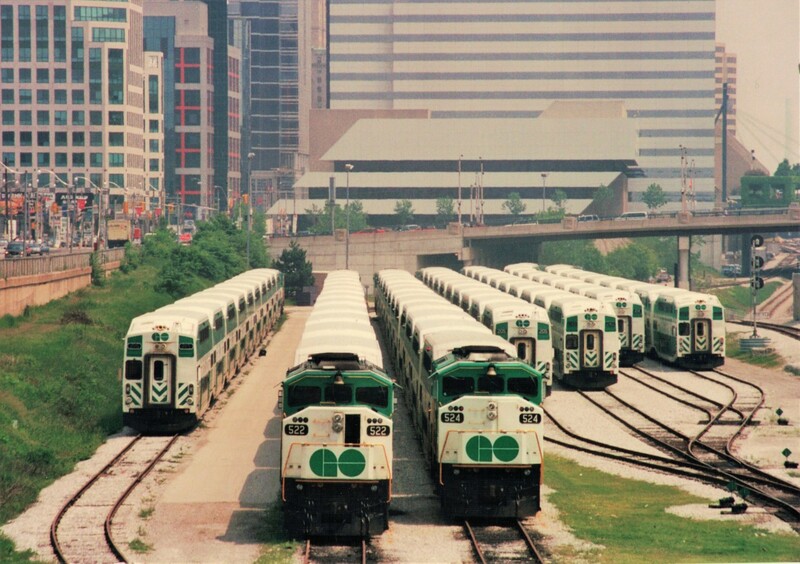 Caption: GO train storage tracks photo taken from Bathurst St. bridge with Front St. to the left.